Sucre, which means sugar in French, is an easy place to like. 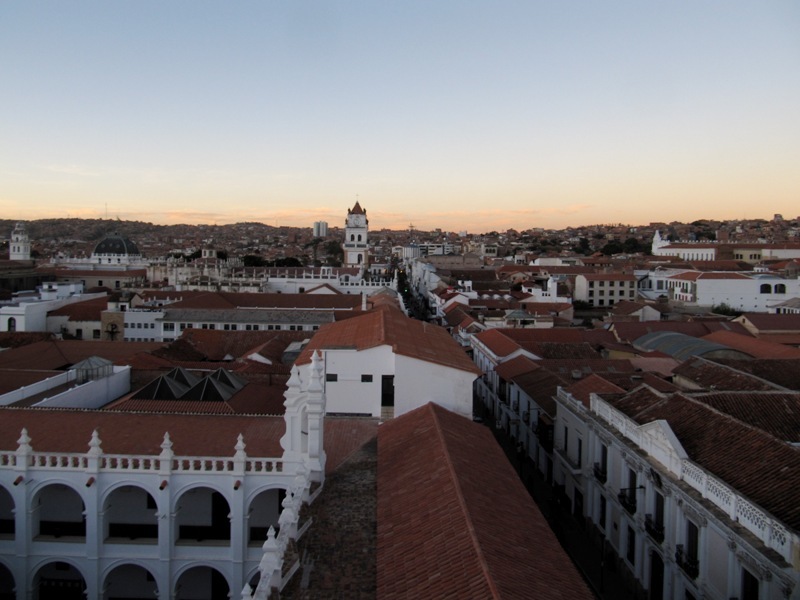 Its laid back charm and colonial architecture make it a picturesque city. 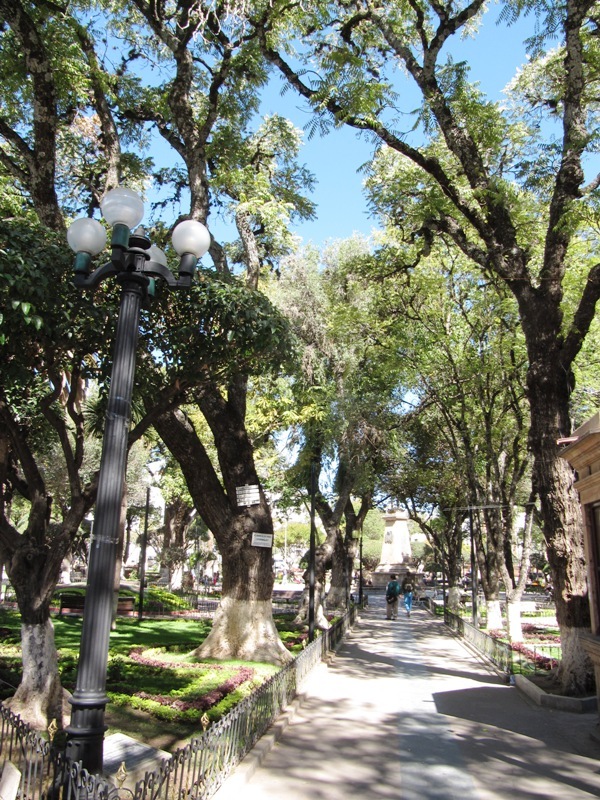 Think white-washed buildings, slender stone arches and a tree-lined main square. It also has an international flair with European style cafes and more than a few Italian restaurants. 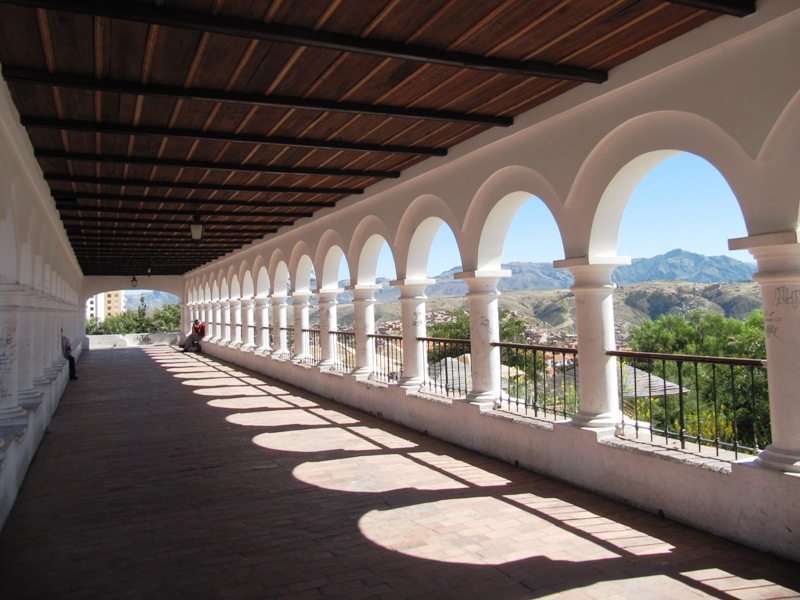 While Potosí grew out of the silver mines, Sucre was the location of an important law school. This school became the breeding grounds for the revolutionaries who declared independence from Spain. 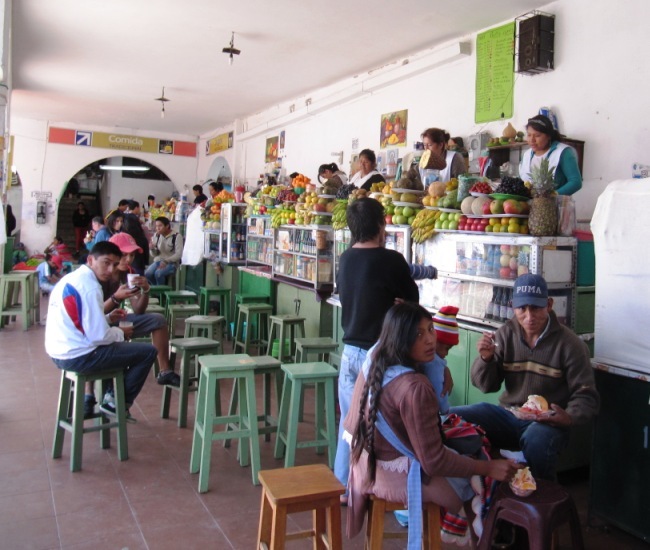 Although it took 50 years of war, they Bolivians finally signed their constitution in Sucre. 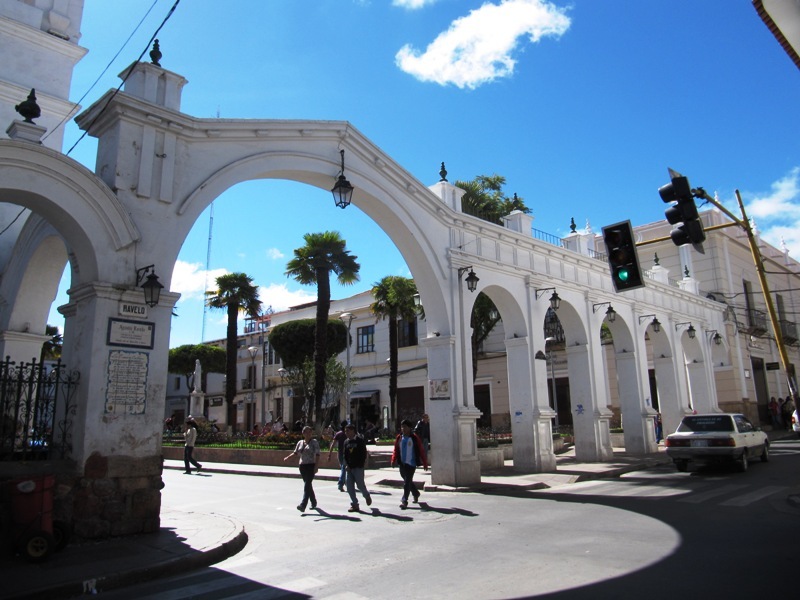 The economic and political center of the country has since moved to La Paz but Sucre takes pride in the fact that it still is the official capital of Bolivia. 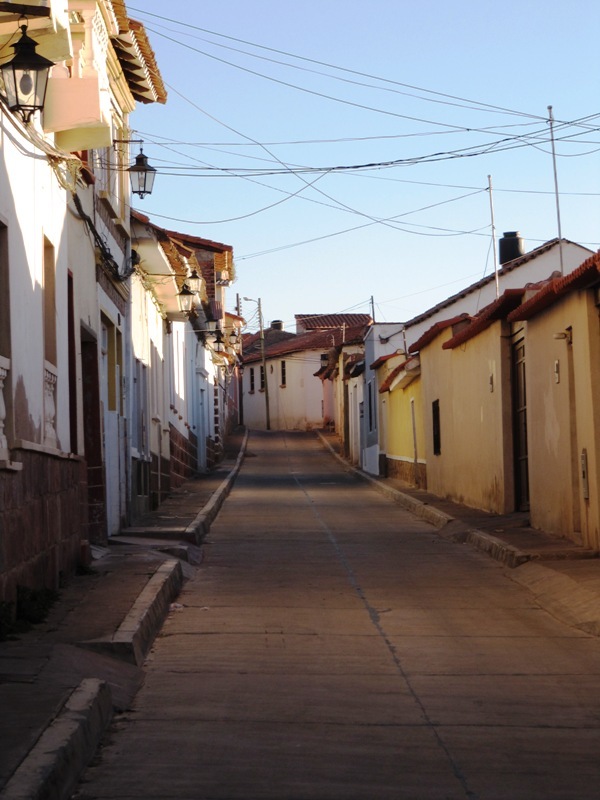 But we didn’t come to Sucre for the history. We wanted to enjoy the easy pace of life. First stop was to check in to our comfortable hotel named, of course, La Dolce Vita. 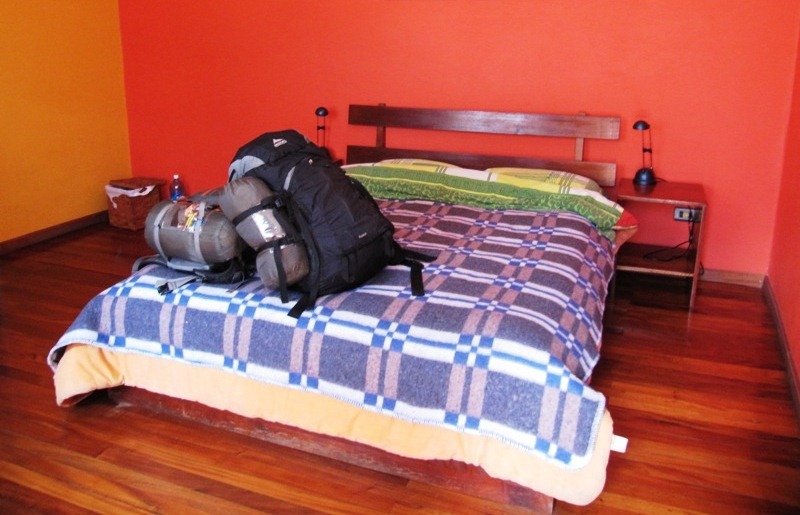 It was the most spacious placed we have stayed. The friendly French owners directed us to our first restaurant, an Italian place that overlooked the whole city. As we enjoyed our yummy nut and her pasta we ran into two of our favorite travelers – Matteo and Gosia! 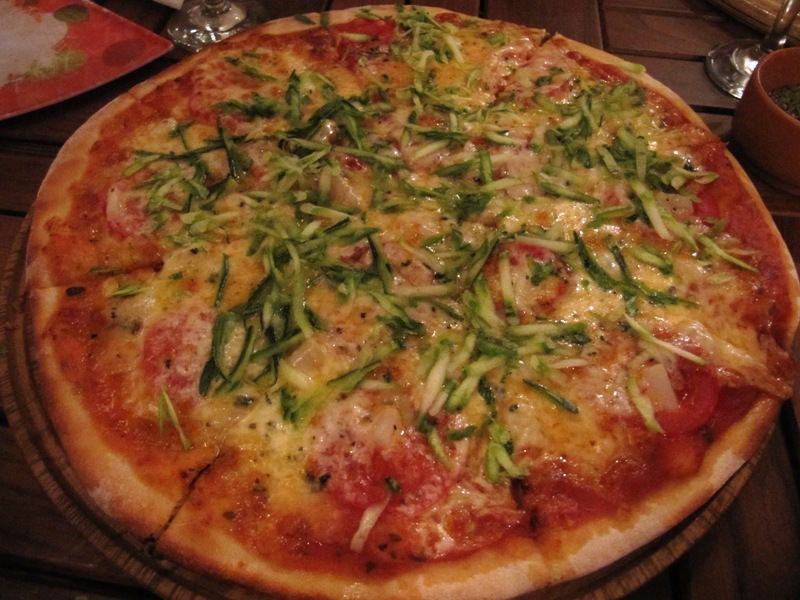 The official best pizza in Bolivia – they got the award to prove it! We had a bit of an Italian theme going on as later in our stay we joined our friends for pizza. It was surprisingly tasty, prepared by a Bolivian guy who had lived in both Italy and Washington DC. Pizza, wine, excellent company – what more can you ask for? While in Sucre we got a little culture by going to a textile museum. 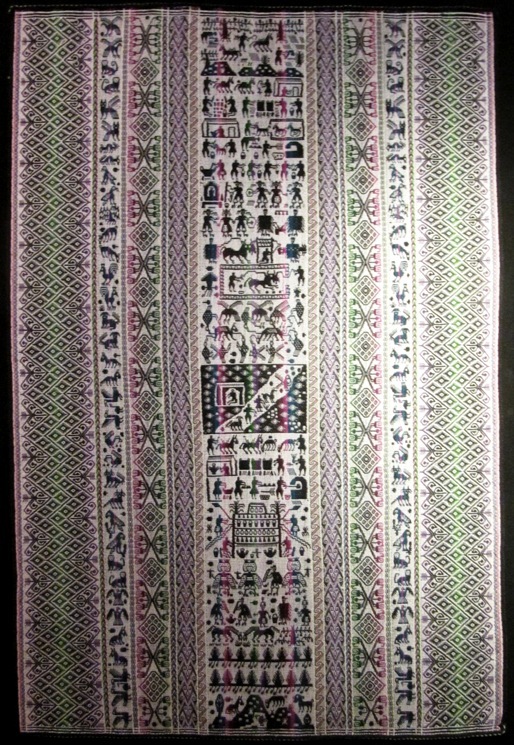 We learned how the colorful fabrics often worn by the women in traditional dress have meanings embroidered into them. This one was particularly cool because it depicted an abstract version of the Milky Way, an important celestial body for indigenous cultures. 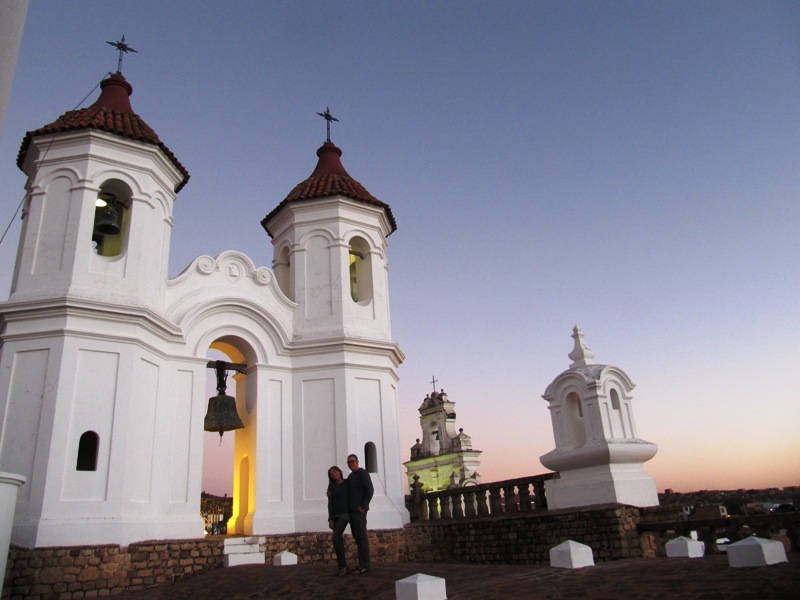 As sunset approached we ran over to a church off the main square known for its rooftop views. 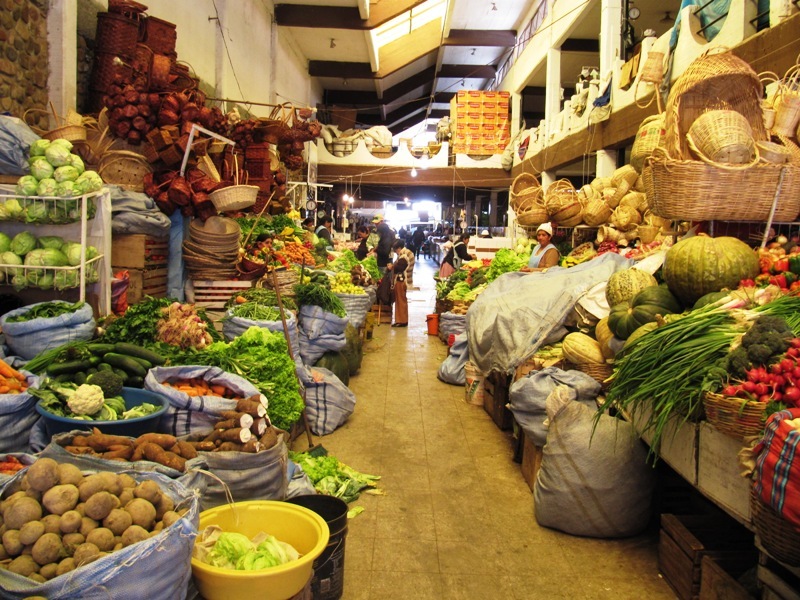 In the mornings we made a point to head to the market, which had a bountiful display of veggies, fruits, sweets, cakes and sundries. But our favorite part was the juice stands. Fresh fruit blended right in front of you all for about 70 us cents. All the juice ladies call out to entice you, offering 2 for one prices. It was deliciously refreshing and we visited 1 to 2 times a day! 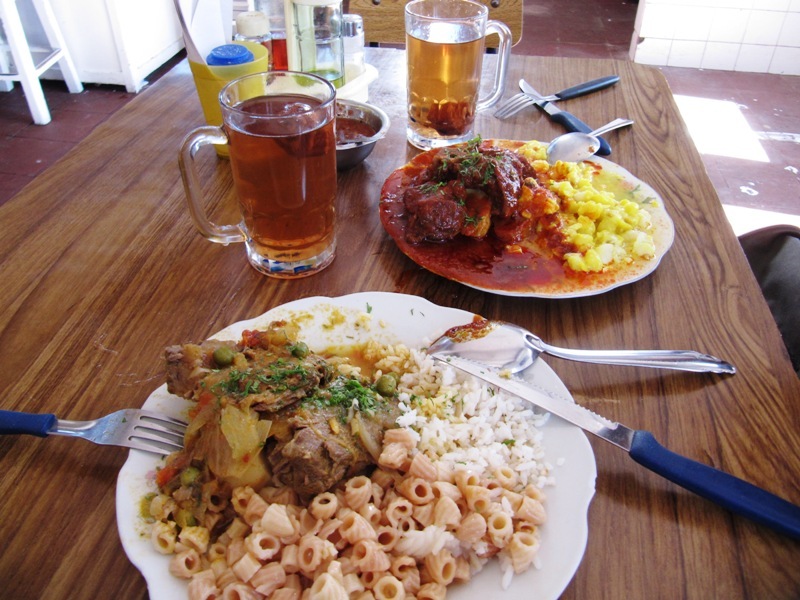 On our last day we enjoyed a market meal consisting of stewed meats, noodles, potatoes and a fermented fruit juice. Afterwards, a final visit to a chocolate shop was a sweet goodbye to Sucre. That is, until the chocolate melted all over the inside of my bag. Oops.